Breaking news from Black Duck’s Facebook page. We are beyond pleased to announce that after many days of discussions with our creditors, landlord, and investors, the Duck has been able to secure a financial package which will allow us to continue operations (hopefully for the next 40 years!!). The outpouring of support from our loyal patrons over the past few days has been deeply moving and gratifying and we sincerely thank you. 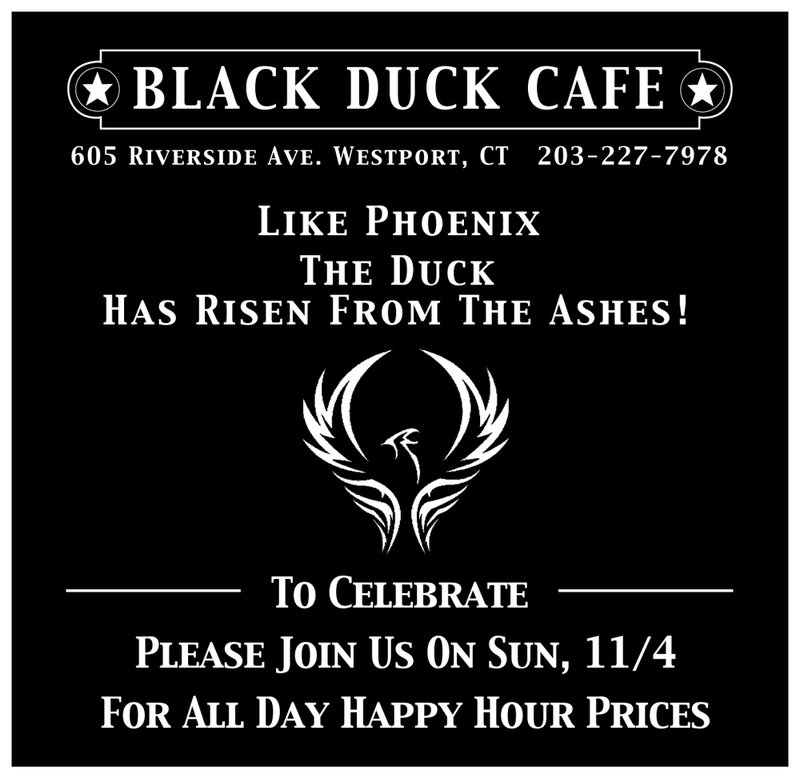 Like Phoenix, the Duck has risen from the ashes! To celebrate, please join us on Sunday, 11/4, for all day happy hour prices.